Turkmenistan is expected to double its gas output by 2040, according to the 2018 Global Gas Outlook of the Gas Exporting Countries Forum (GECF). GECF believes that Eurasia is assumed to expand its gas production by 300 billion cubic meters (bcm) to maintain its position as the second largest gas producing region in the world, Trend reports. "Russia, Turkmenistan and Azerbaijan will be the main contributors to this expansion. Turkmenistan is expected to double its production to around 160 bcm by 2040 thanks to the expansion of pipeline export facilities that will enable the country to invest in extraction projects. Expansion in the Galkynysh field is also partly behind this increase," said the GECF report. Galkynysh is the second largest gas field in the world and is already one of the raw sources of Turkmen gas supplies to China. 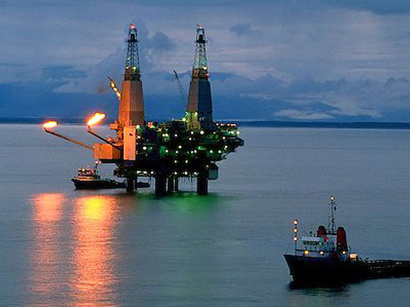 According to independent audit, the reserves of Galkynysh field together with the Yashlar and Garkel fields total to 27.4 trillion cubic meters of gas. In July 2017, it was announced that in the near future it is planned to start the third stage of the development of Galkynysh field, which will increase the production capacity by another 33 billion cubic meters of commercial gas per year with the expectation of supplies to South Asia. To date, production facilities of the first stage, with a capacity of 30 billion cubic meters of commercial gas per year, have been commissioned here, and in 2014 the second stage with a similar capacity was launched. GECF said that Eurasia is the second largest producing region after North America for natural gas output, with around 849 bcm in 2017. "Three-quarters of total gas production in the region is sourced from Russia, with other contributors including Turkmenistan, Uzbekistan, Kazakhstan and Azerbaijan with shares of 9 percent, 7 percent, 5 percent and 2 percent respectively. It is forecast that all these contributors will improve their production capacity over the outlook period with the exception of Uzbekistan," said the report.